I don't wish to comment on the precise Halachic details of bicycles on Shabbos, rather I would like to use this issue to make a related point. There is a "reductionist" tendency in some Halachic circles, albeit not necssarily this one, but others, which is, basically: "If you cannot prove to me what precise definition of pre-established melacha/issur, etc. this fits into, it must automatically be permissible. 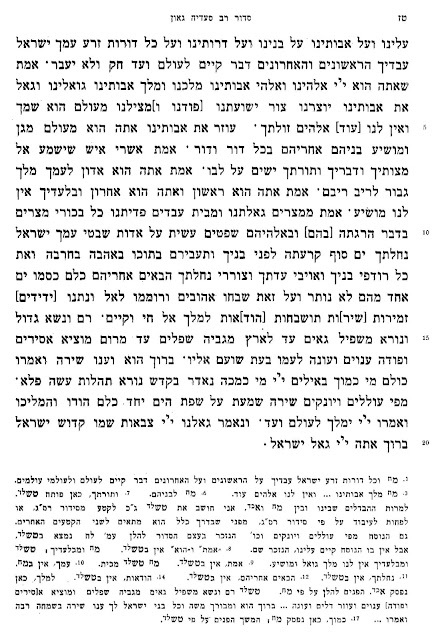 In this regard it is important to note what the Chazon Ish zt'l says about umbrellas on Shabbos. "It is a very public workaday act (avsha milsa / uvda d'chol) and causes a breach in the sanctity of Shabbos... The determination of which public acts descrate the Shabbos to too great an extent is something that is given over to the sages [of each generation, obviously - there were no umbrellas, much less a prohibition at the time of Chazal] to erect fences in places of possible breaches, and such public matters of Shabbos sanctity are more severe than any private specific prohibitons, because this is a fence for the entire nation for all times." I always understood the severity of a Jew's opening his store on Shabbos, despite the relative light nature of the ban on business transactions on Shabbos, as related to the Chazon Ish's fundamental concept. 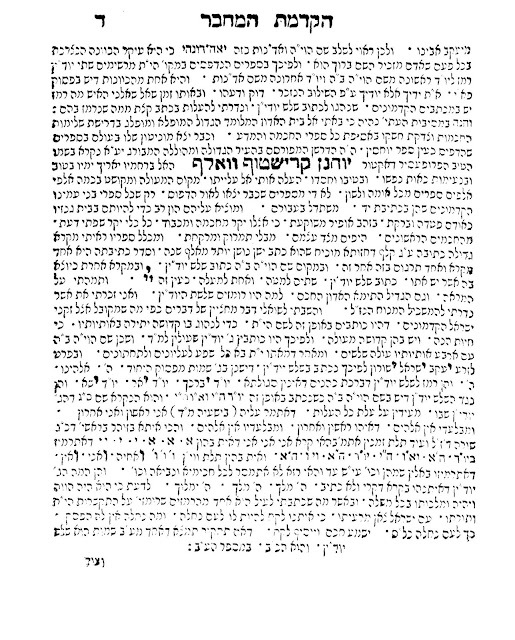 I would rephrase the dichotomy by saying that where misnaged, having unwavering commitment to and absolute belief in supremacy of his own seichel, would jump to conclusions based on apparent contradiction, a chosid would exercise his emunah in a Tzadik and let his seichel conform to it - either by admitting his limitations in understanding the reality, rethinking past views or finding new insights. In any event, this is not an expression of fundamental intellectual dishonesty - not being able to admit the wrongs of his Rebbe - as YGB intimated. I am not aware of any Jewish school of thought though, that would not place the koach of emuna as a higher faculty in relation to one's intellect. Emuna, as being rooted in the more sublime aspect of one's soul does supersede one's intellectual capacity. If you are aware of the alternative worldview, please share it with us. As for your claim of opposition to Chabad for its insistence on Emunah being hierarchically higher than seichel and the claim that this aspect of Chabad ideology being identified as “karov leavoda zara”: you are well aware of the gravity of such charge. I would assume that the oilom would appreciate if you would provide the names and makoiros of writings that espouse such view(s). I would encourage you to kindly share those sources. Alternatively, I would suggest to classify your statement as emotionally driven, common anti-Chabad slur and treat it accordingly. עמידה בתוקף האמונה מול מציאות שלכאורה סותרת את האמונה (=נסיון). "וגם כשנדמה שיש איזה בלבול הרי הולכים בדרכו של אברהם אבינו, היהודי הראשון, שבראותו נהר המעכבו מלקיים ציווי השם, עמד בתוקף ולא נתפעל"
The usage there in itself is absurd, as Avraham Avinu was the first one to come to cognition of Hashem through logic and reason. Any subsequent Emunah above logic and reason was on account of the revelation that followed the logic and reason. So why is the concept "close to Avodah Zarah?" Because the way it is used in the circles in which it is used is as an argument to check one's logic and reason at the coat check. Well, if logic and reason are discarded, then whatever whim of faith or religious experience - or, even more so, the faith in which one was raised - are necessarily the primary basis of one's religious choices in this world. Emotion over intellect. If that is the case, a proponent of another religion is justified in arguing that you cannot know his religion to be wrong until you have its religious experience. A person born into idolatry cannot be held responsible (as Halacha does, as Reb Elchanan explains in his famous essay), as that is his religious experience - more so, the faith in which he was raised. There would be no anchor for perspective other than feeling. And one who once might feel an ecstatic experience in another religious setting would be compelled by the pinciple to go with it. And that would be the lower form of pesi ya'amin l'kol davar. V'ha'meivin yavin. This passage in the Tanya has been taken far too literally - and erroneously - to the point that it has caused much misunderstanding that is close to heretical. 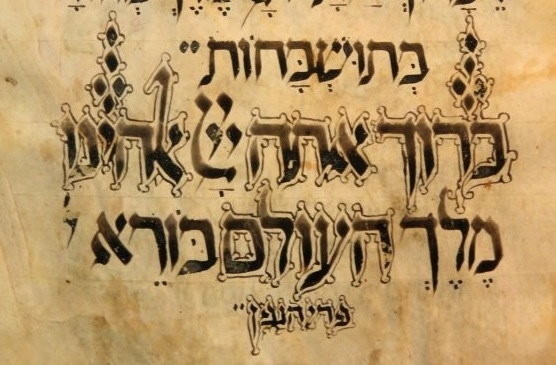 It cannot mean that there is a "piece of God" within every Jew. That is in direct contradiction to the principle of Achdus Hashem. That meaning is also contradicted by the mashal to the breath that comes from within a person. The breath does not contain a little piece of the person. Chelek in this context means a distribution. And Eloka means divinity. And thus it is tantamount to sayin that Man is Tzelem Elokim. I always thought the yud-yud was a random substitute for Shem Hashem. 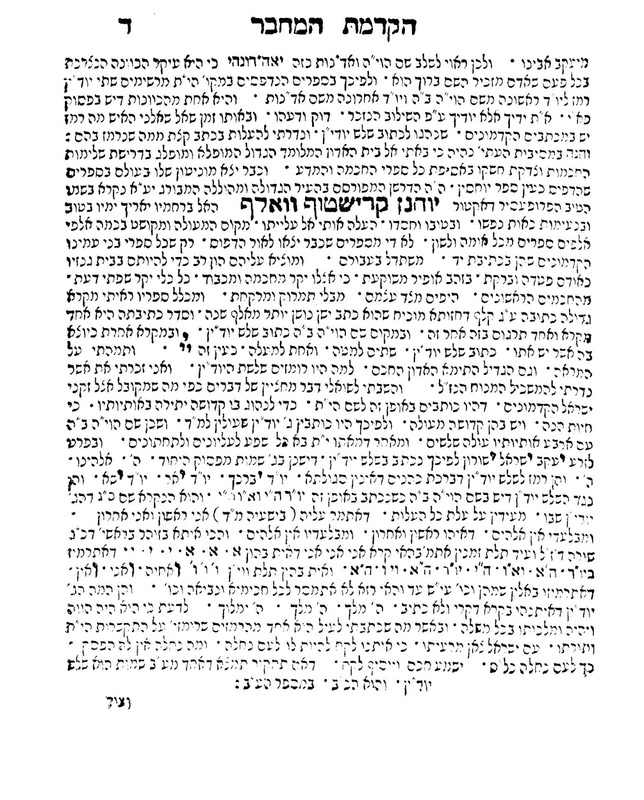 Until my Belzer chevrusa this Shabbos pointed to the Kitzur Shlah's statement that it represents the shiluv of the Shem Havayah and the Shem Adnus. (First letter of Havayah, last letter of Adnus.) I found this post that cites most of that explanation in the name of R' Aharon Feldman. But if so, it is not so simple to say it has no kedushah. 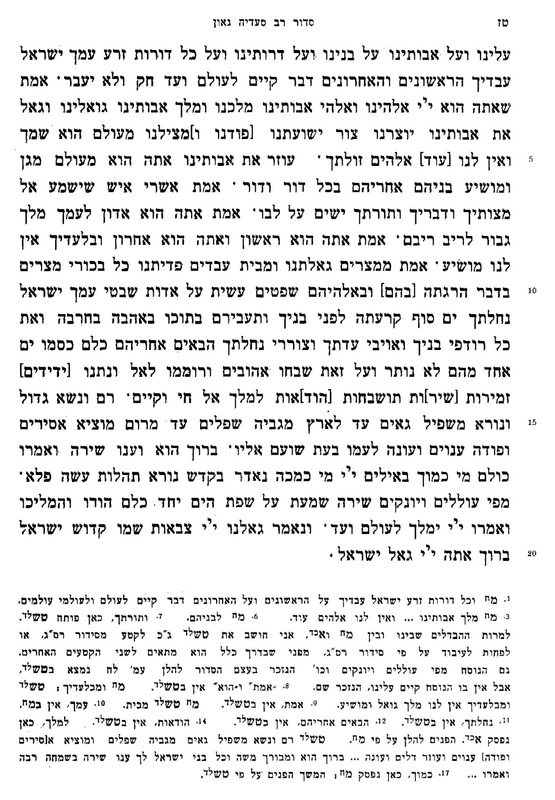 We know the Rogatchover held that even a Heh as a sign for Shem Hashem has kedushah, which is why he advocated the use of a Dalet instead. צ"ע. Also courtesy of RMB, from Siddur Rav Sa'ada Gaon, the triple-yud "in action:"
Rabbi Moshe Tzuriel was my mashgiach at Sha'alvim for three years. I learned a lot from him and for many years stayed in touch even long after I "graduated." He has some idiosyncratic views, but his seforim are tremendous. I just stumbled on the website where you can download many (all of which are also at hebrewbooks.org) for free. The Otzaros Hamussar alone is worth its weight in gold (and it is heavy)! אבות- ביאור קצר ל-48 דברים שהתורה נקנית בהם ועצות להצלחה בלימוד. דרישת ציון- על אהבת ארץ ישראל ומצוות ישוב הארץ מסודר לפי פרשיות השבוע. הדר התורה - חשיבות לימוד תורה בגימטריאות וגימטריות לפי פרשות השבוע. לקט פרושי אגדה - כרך א. לקט פרושי אגדה - כרך ב. לקט פרושי אגדה - כרך ג. לקט פרושי אגדה - כרך ד. ציון במשפט תפדה, דברי התעוררות על לימוד תלמוד ירושלמי. שובו אלי - הדרכה לתיקון המידות. Me with some of my favorite talmidim at MTA graduation tonight! Neshei Belz, a women's organisation, also issued a statement last week, saying that that driving a vehicle was "a high-pressured activity where our values may be compromised by exposure to selfishness, road rage, bad language and other inappropriate behaviour". It is my belief that it is driving and the negative middos that it entails that are one of the primary causes of the relative paucity of tzaddikim in the literal (mussar) sense since driving became prevalent.